Today, everybody exchanges information: from personal data to credit card details and identification numbers. The security of this exchange connection became an extremely important matter. Every single day cybercriminals execute hundreds of cyber attacks. Their online targets are governments, banks, businesses, e-commerce, and even individual websites. By using a wide range of techniques, such as phishing, man-in-the-middle attack and malware injection they steal large amounts of sensitive data. All these hack attacks emphasize the importance of using SSL certificates. The SSL certificate became an indispensable element of a trustworthy online business and it is believed that their contribution to a more secure world wide web will only increase. 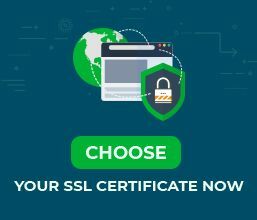 Why the future of SSL Certificates should matter to you? In order to prevent data breaches, almost every industry influencer started supporting SSL certificates. Even Google announced that they want to encrypt the entire web and will use HTTPS as a ranking signal. Since this moment, SSL certificates became imperative for the Internet industry. Website owners started guessing whether they need to switch to HTTPS and what future benefits they will get. The truth is that your business can suffer serious damages from being victims of cyber attacks and data leakages. You risk losing your customers trust if you don’t secure your website in this era of complex cyber threats. But one incontestable fact is that SSL certificates evolved along with these threats and are continuously improving. So how will SSL certificates look like in the future? First of all, SSL (Secure Socket Layer) Certificates are the older version of the new TLS (Transport Layer Security). Both terms are acronyms for protocols that ensure the intransit security between the website’s server and the client’s browser. Even though TLS already replaced SSL, the latter is more familiar to the public. That’s why everyone uses it. The fact is that the HTTPS protocol is now secured by TLSs rather than SSLs. But no matter the name, they continue to ensure the same purpose: Secure information transition. 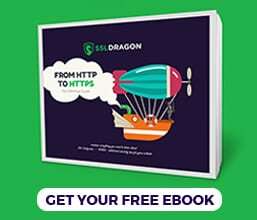 Moreover, after this year’s announcement of approving HTTP/2, its first new protocol version since it was released in 1997, all popular web browsers stated that the migration to the new protocol will be impossible without having an SSL certificate. Besides, only those webmasters that will own an SSL certificate will benefit from the “powerful web features” such as full-screen mode, geolocation, device orientation and many more. Why? Because these functionalities require access to sensitive data that browser developers think it is not safe to be provided within the old HTTP. This new requirement will strengthen once more the SSL’s position in ensuring a safer web. So, it doesn’t really matter how we’ll call SSL Certificates in the future. What matters is to keep evolving their particularities in order to fight against cyber threats and ensure the highest level of web security. And the Internet community is doing a great job in sustaining a secure “Always on SSL” web in order to protect your website and your clients.